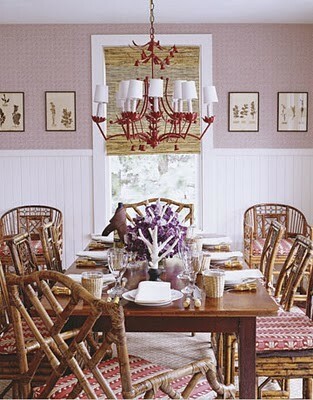 I love mixing different seating for a dinning table. 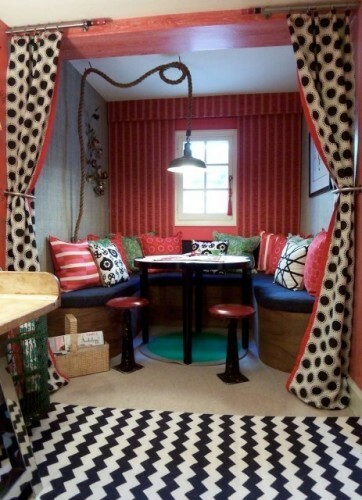 I think using a settee and bench make it extra cozy. It feels like the kind of place to just hang out and chat for long times after dinner. Mixing also makes it feel really unique! Happy Monday. I am loving all the below color in the dinning tables. Hope everyone had a great weekend. 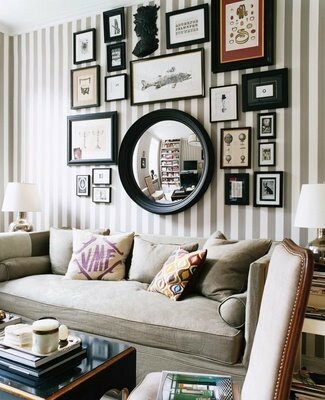 Don’t you love this bold living room? 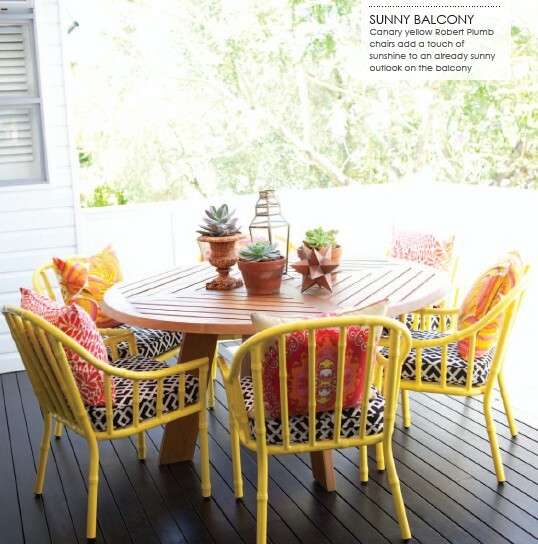 I LOVE print mixing while setting a table (lets be honest print mixing anything…). 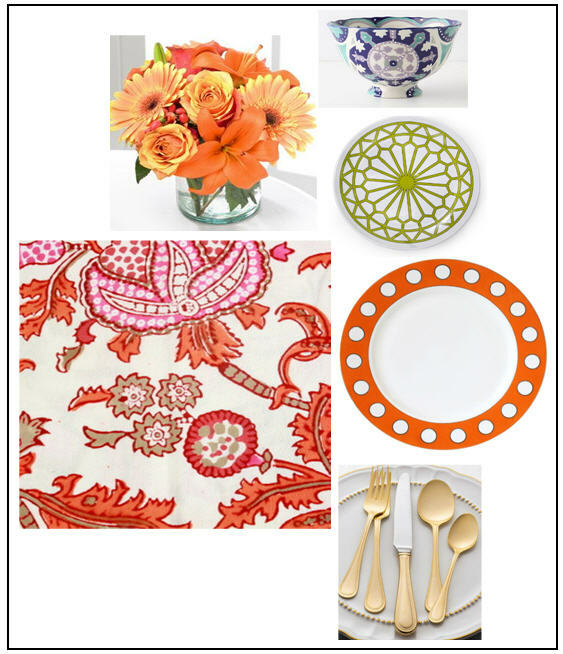 Jonathan Adler has some really fun dinnerware out right now – and don’t you LOVE the furbish napkin print? 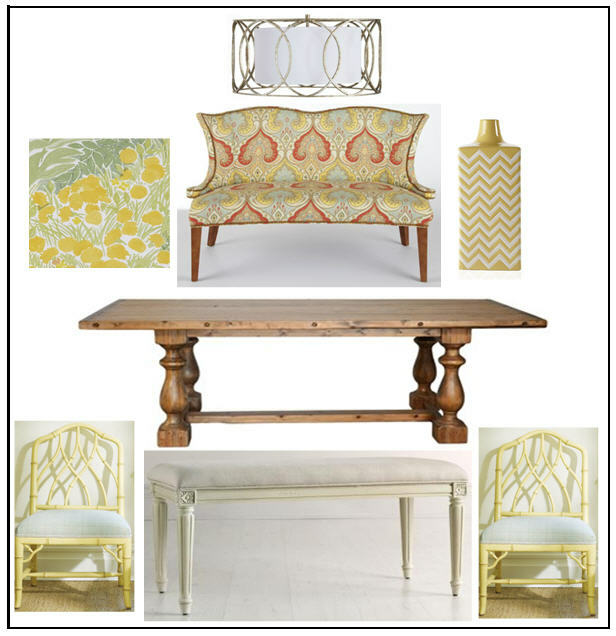 Hope you enjoy this bright springy round up! ps – I have been stalking gold flatware lately. I think I may need to invest in a set. 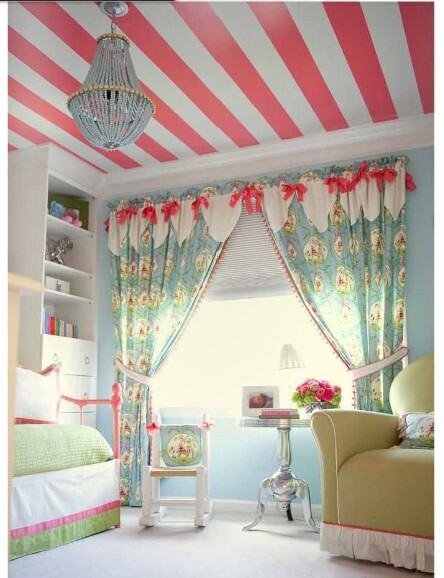 I love stripes. 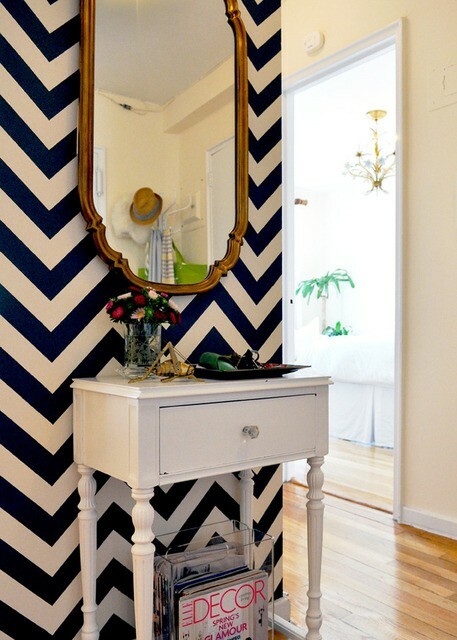 It’s another fun way to add print and texture to a space (and it cuts down on the cost of wallpaper)! Buffet fun! 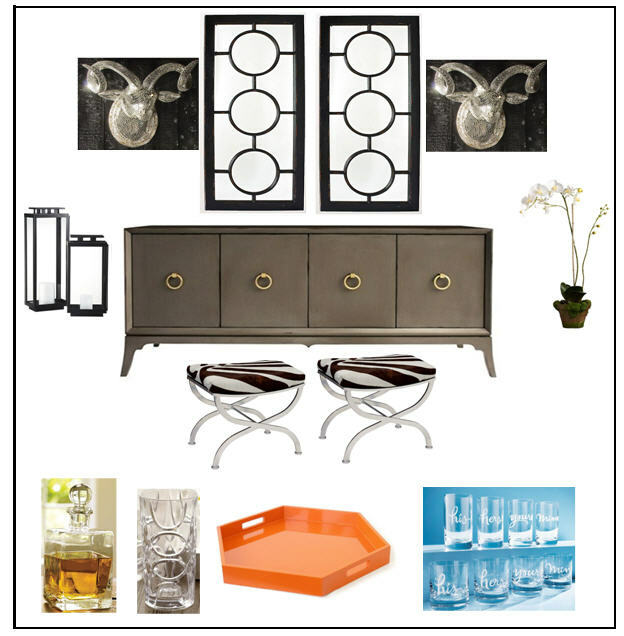 I love this credenza from zinc door. 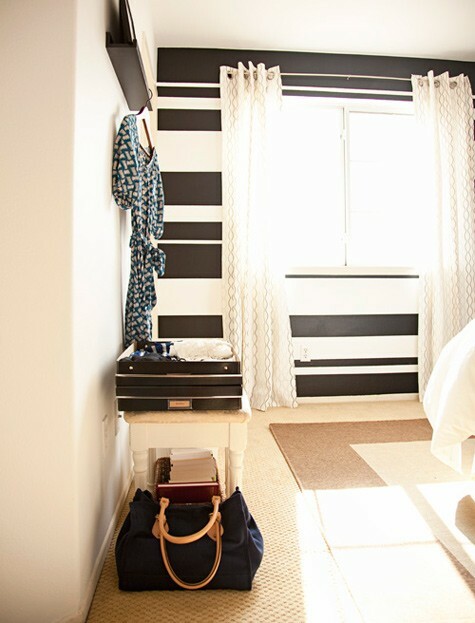 So I thought I would dress it up for a room. Don’t you love the splash of orange with the tray?